← Have you heard about My Digital Studio? 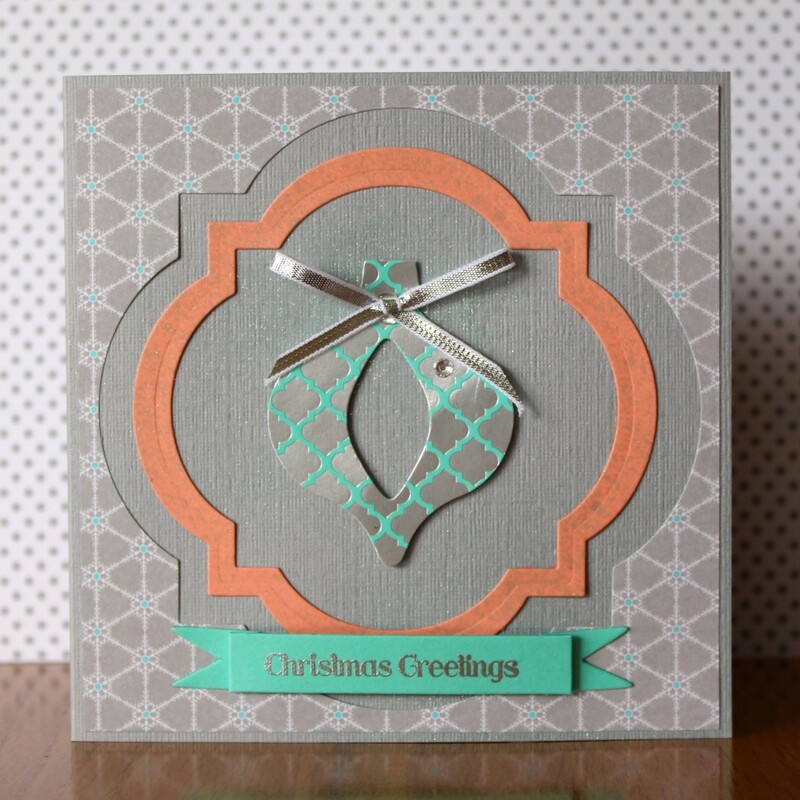 We all love when our Stampin’ products work for us in a multitude of ways – and this card shows you how you can use your framelits in two different ways other than creating the usual die cut shape. I’ve created a window cutout using the very largest Window Frames Framelits (which, of course I’ve saved and used for another card! ), and then created a frame by layering two of the smaller sizes together and running them through the Bigshot at the same time (the magnetic platform really helps with this). 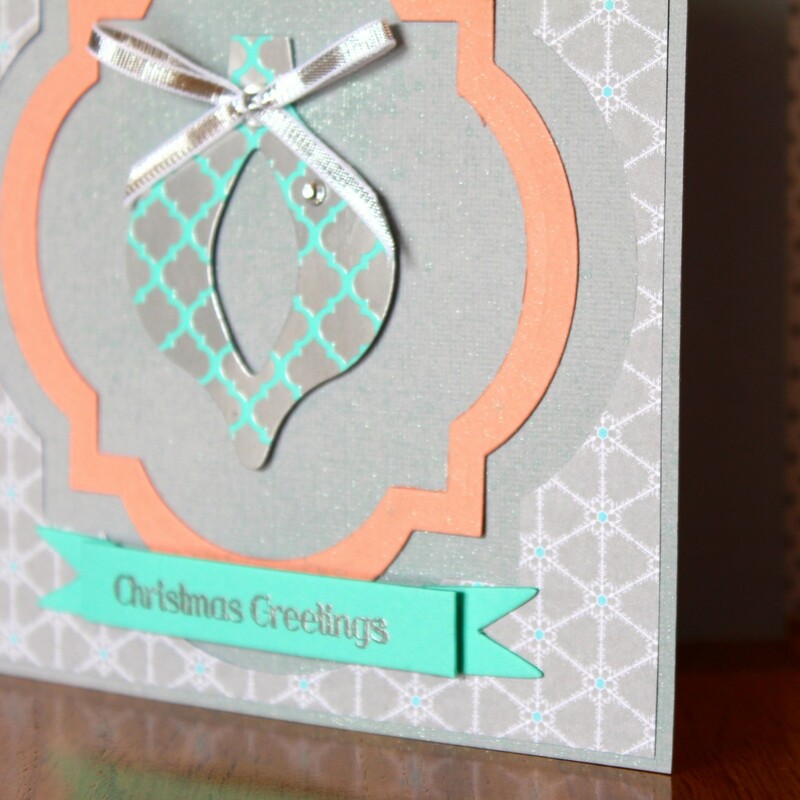 My feature ornament was die cut from the Specialty Foil sheet from the Winter Frost DSP, and I’ve used one of the smaller framelits (Holiday Ornament) to cut out the inside (still available in the Carry-Over Range as seen on my sidebar). I love the effect!!! I’ve finished it of by attaching a small bow using the new silver ribbon and of course a rhinestone accent to finish. I have mixed Coastal Cabana Re-inker with Champagne Shimmer Paint (retired) and of course Rubbing Alcohol 9pto create my shimmer mist. 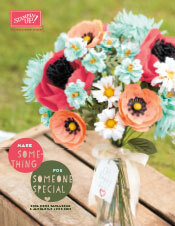 My card stock colours also include Crisp Cantaloupe and Coastal Cabana along with the Smokey Slate I mentioned above. 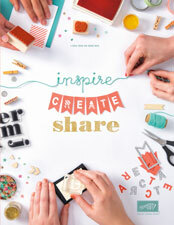 Most of the products I’ve used are in the new Holiday Catalogue available to view on my sidebar. Check it out! It’s never too early to start your Christmas cards!